Personal Information: Married to Ivy – we have a daughter and a son. Interests: Long-distance/ultra-endurance sports, martial arts, health & fitness writing, and building the ElliptiGO Community. 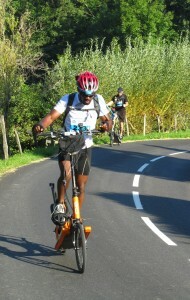 Sporting Background: Running, martial arts, ElliptiGO cycling, general fitness. 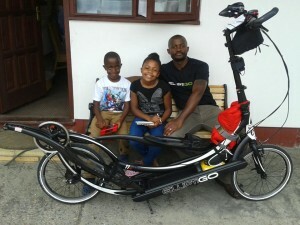 Why I’m doing PBP 2015: For the atmosphere, because it’s such an historical cycling event, for the purity of striving to complete the challenge, and to be a part of this historical ElliptiGO Team Endurance Challenge. Other: Why do I do this? My PBP 2015 training programme and my PBP 2015 training, qualification & results list.